This quilt was born out of a panicked need to get rid of evidence. Either that, or it was my way of justifying my actions and purifying myself from my transgression. Forgive me, I’m being a bit melodramatic. What happened was I broke a rule I had made. You know the one. It’s the rule where you say you are NOT going to buy any more fabric because you already have more than you will ever have time to sew with. Waaaaaay more. So much that you are completely out of places to store it. Those of us out there who sew know exactly what I’m talking about. The amount of amazing fabric out there and the inspiration that comes along with just walking down rows and rows of beautiful bolts gets the best of us all from time to time. So despite my good intentions I only made it through about mid-February for “Sew my Stash 2015”. I tried. I really did…Sort of. I have always loved puzzles. Essentially, that is what designing always feels like to me. Either I am given, or I establish my own set of parameters and I move forward with intention to somehow “make it work”. In fact, I strongly believe that given enough time and thought it is possible to make any design idea work. This “anything is possible” idea is maybe what I love most about art in general. Setting design rules right off of the bat is always part of my process. It helps me focus. Too may possibilities and I get overwhelmed. So longs story short. I made the rule. I broke it. I felt guilty. I needed redemption. Yada yada. The moment the bundle arrived in the mail I felt it needed to be purged from the stash to rectify and absolve my wrongdoing. I went to work trying to figure out a way to use the entire bundle up and be forgiven my sin. I sat down to my computer with determination to puzzle it out. You must use all 21 colors in a single design. You must use it all, or have only some scraps leftover. I keep a file of design ideas on Pinterest as I’m sure most crafty people do nowadays. Awhile back I had seen a block similar to this as a method of using up small scraps only there was no rhyme or reason to the placement of fabric. 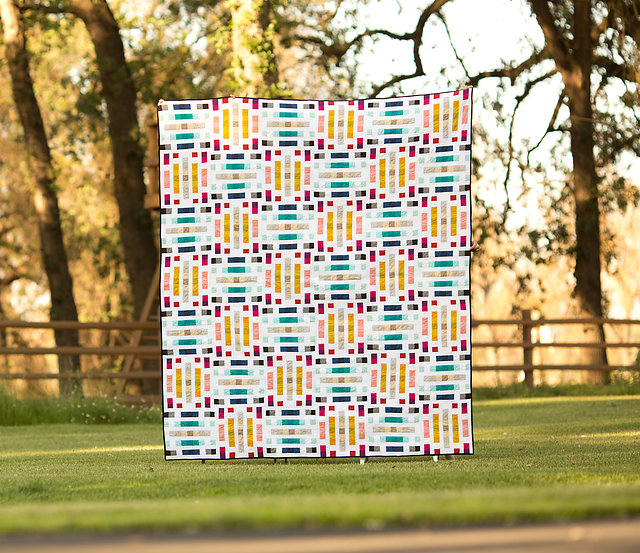 When I saw it again in my search for ideas I became curious how the block would look if instead of scraps, specific colors were laid out in a pattern. So that was where I started, With the above parameters and block idea. Make it work. I do think it is a bit ironic that I fixed the first broken rule by setting more for myself. I guess some rules are made to be broken. 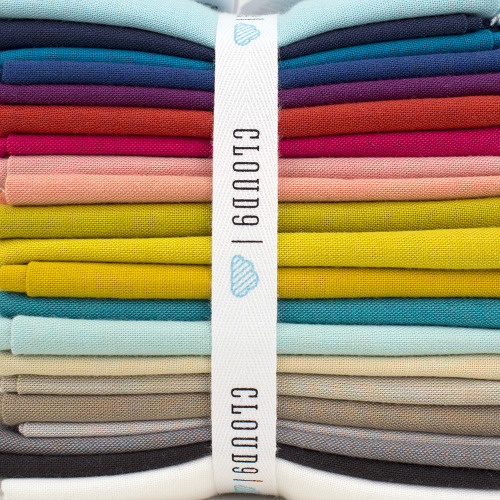 I suppose it all worked out because imagine my surprise and delight when Cloud9 contacted me and asked if they could display the Tumbling Paint Box in their booth at Spring Quilt Market. 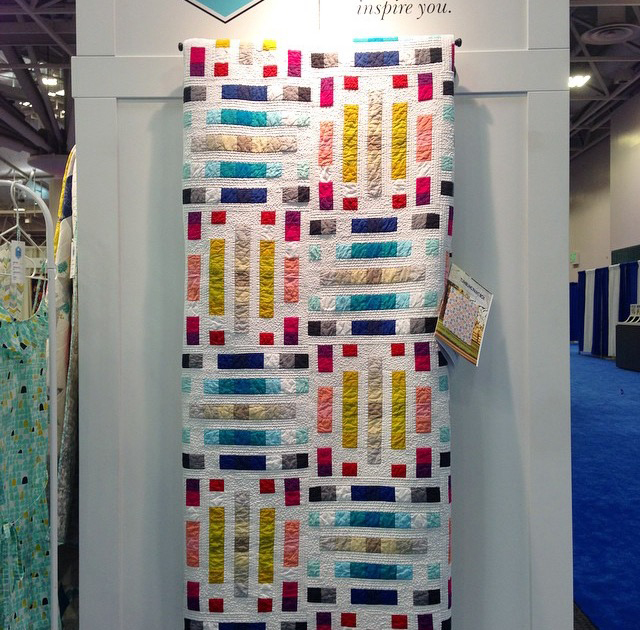 This was the first time any of my quilts had ever been on display for the public. I was both flattered and proud. Where can I buy this pattern? It’s so gorgeous!! Hi Heather. So sorry for the delay in replying. 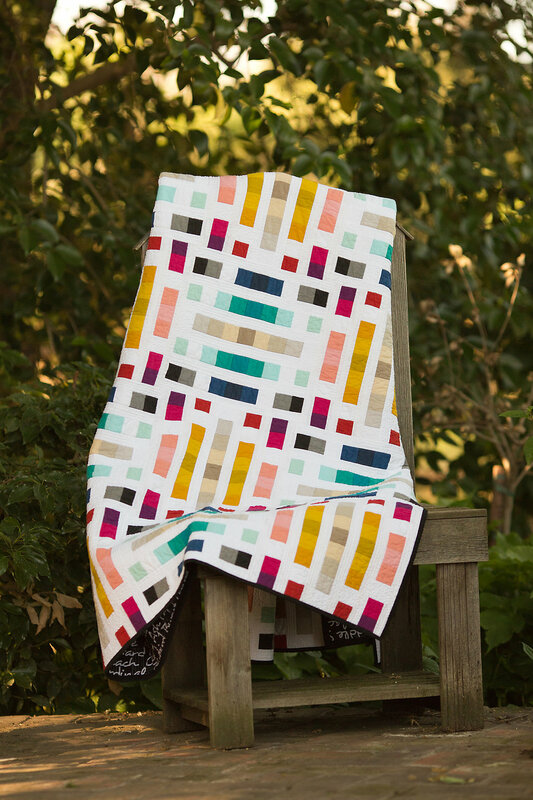 I am still working on the PDF version of this quilt but I have the print versions packaged and ready to go if you’re more interested in a hard copy. If you’d like a printed pattern let me know and I’ll send an invoice via PayPal. I’m interested in the pattern. Will you please send me a paypal invoice? Thank you! Yes, please send me an invoice!! I would also love to purchase your pattern. It is just beautiful! Please let me know how to go about this. Where can I get this pattern? It’s gorgeous!! I would like to purchase the pattern please! 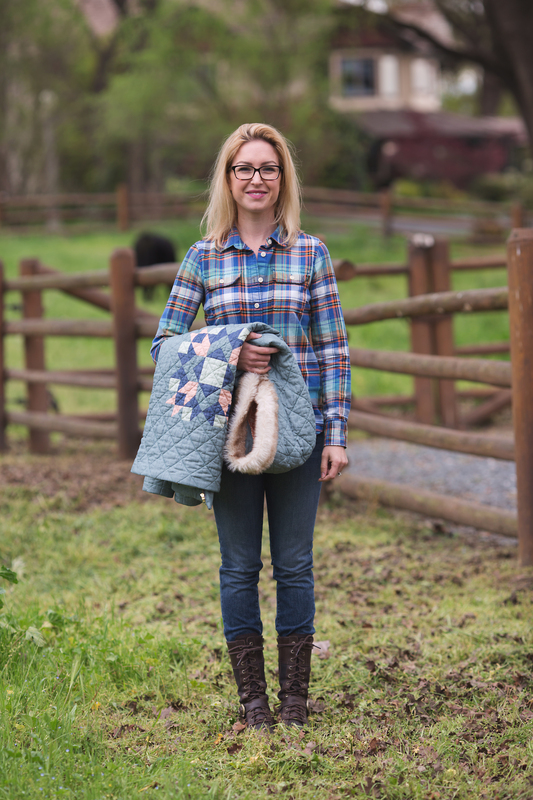 Hi Jennifer, I love this quilt pattern! Could I please purchase the paper pattern from you? I don’t think I can wait for the PDF! Is this available as a PDF yet? No Carissa I just haven’t had the time to get it finished this summer. Too many projects and kids home all day makes for craziness over here. Is like to order your pattern. Can you send me a paypal in ice? 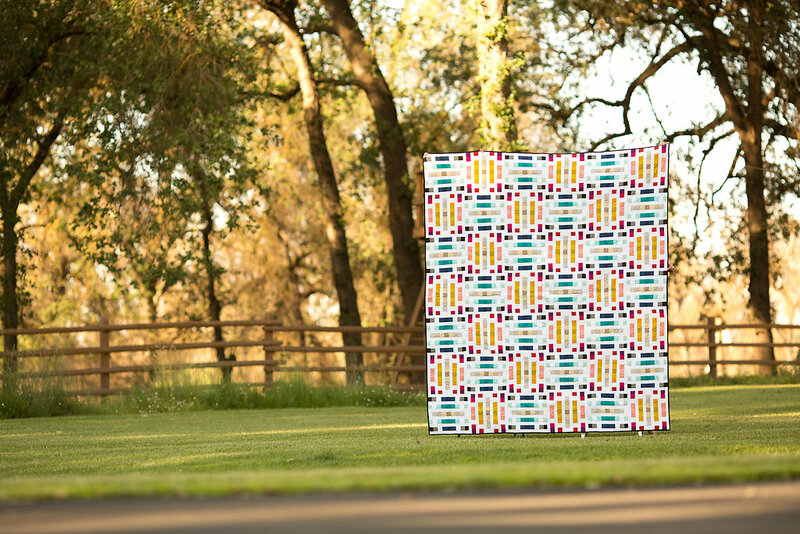 I would love to purchase the Tumbling Paint Box quilt pattern. Can you send one to me and tell me how to go about paying? Thank you. I’m not easily imrspesed but you’ve done it with that posting. 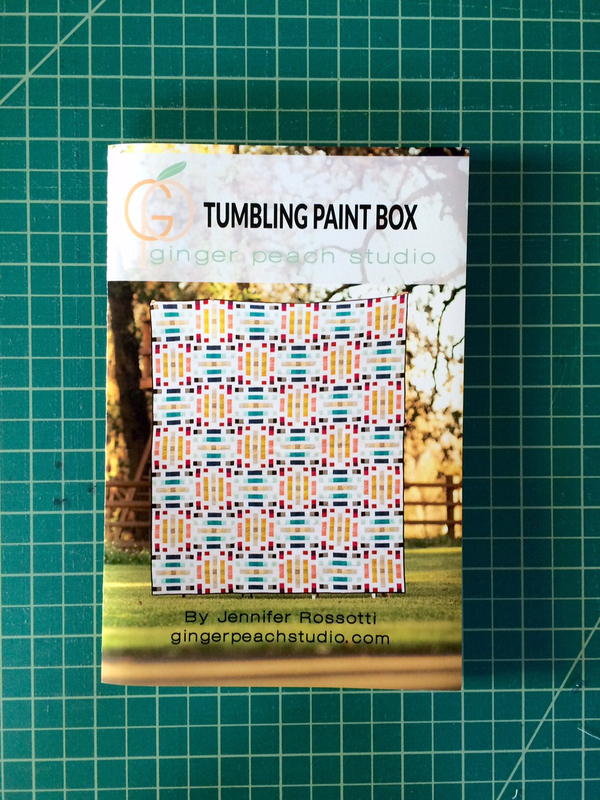 I love your Tumbling Paint Box quilt pattern. I would love a copy of your pattern . Please let know how to pay you . Thank you for creating a beautiful quilt . Hi Debbie I am currently working on an updated version of the pattern and I will let you know when it is ready. Thank you so much for your interest the pattern. Beautiful! How can I get a pattern? What a beautiful quilt!! I was curious if you’ve had a chance to update your pattern? I would like to purchase your pattern. Please let me what information you need for this. No Shawna, not yet. I’m sorry. I’ve been so busy with other projects I haven’t had time. I do have paper copies for sale if you’d like one of those. I’m interested in getting a digital copy of this pattern, can you let me know when it is available? please. Is there a place where I can buy this pattern?